Designer Contracts, the UK’s largest flooring contractor, is to provide more ‘makeover magic’ at Ashgate Hospice. 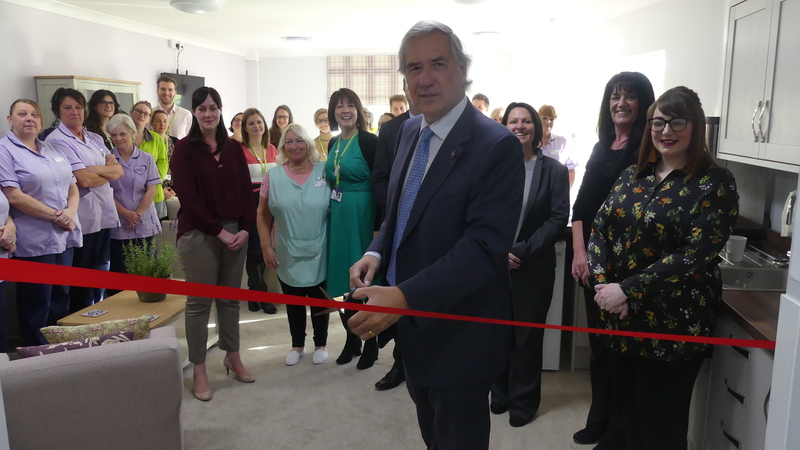 Following the complete makeover of the Chesterfield hospice’s family room earlier this year the company is to redesign and refurbish three counselling rooms at the hospice. Providing specialist palliative and end of life care and supporting over 400 patients and up to 20,000 friends and family members each year, over 70 per cent of Ashgate’s income is reliant on local support. Said Peter Kelsey, md at Designer Contracts: “We were delighted to help out at the hospice which plays a vital role in the local community but couldn’t survive without significant support. The family room plays a crucial role for people to relax, often sleep and prepare food while visiting. With a brief from the hospice to create a ‘home from home environment’ in the room, Designer Contracts’ interior design team focused on a calming and relaxing scheme of sages, lilacs and warm greys, incorporating several seating areas, to include sofa beds where friends and family could sleep when necessary. Designer Contracts was recently named in the Business Reporter’s Best of British Campaign, which recognises success stories in British business. The accolade was awarded to just 10 companies in the UK. Designer Contracts operates across 15 UK regional facilities. As well as flooring the company provides curtains and blinds, furniture and lighting, and operates a showhome and design services division.